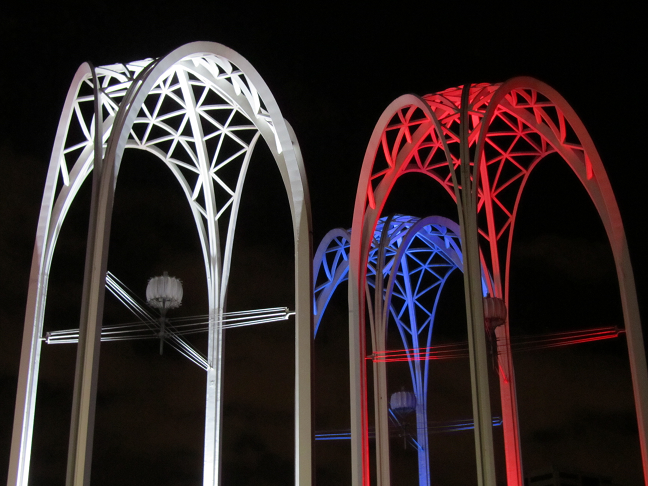 In honor of Veterans Day 2011 (celebrated as Armistice Day or Remembrance Day in other parts of the world), we are pleased to share this photo of the Pacific Science Center taken on November 11th in Seattle. Designed by Minoru Yamasaki, Pacific Science Center's arches rise above a court of reflecting pools and are the perfect location to celebrate and share this important day with the entire city. Future-ish joins PacSci in saying thank you to past and current veterans, as well as the dedicated families and friends that support them.